The names most known are Pete Alonso and Andres Gimenez -- two Top-100 prospects and 2018 Futures Game participants. The pair should feature prominently on the Queens infield some day, and for Alonso, that could come rather quickly as he tries to prove his Major League readiness this spring. The prospects to know next are Ronny Mauricio, Mark Vientos and Shervyen Newton, each of whom have to play full-season ball but could jump into the Top 100 if they show promise for a full summer. The pitching is a little weak here, led by first-rounders David Peterson and Anthony Kay and 2018 second-rounder Simeon Woods Richardson, and this offseason's trade of Jarred Kelenic and Justin Dunn to the Mariners hurt the system (but helped the big club). It's not as exciting a system as a result, but there should be plenty to follow for blue-and-orange loyalists. Triston McKenzie is the headliner as MLB.com's No. 41 overall prospect, and the 21-year-old right-hander should be banging on the Majors door with his impressive fastball, curveball and changeup mix at some point in 2019. But there's a decent shape to the club's top 10. No. 67 overall prospect Nolan Jones gives Cleveland's foundation some good pop while Tyler Freeman, Bo Naylor, George Valera and Brayan Rocchio possess promising hit tools that could come to play together at Class A Lake County this summer. Fellow teenagers Luis Oviedo and Ethan Hankins could lead that Captains rotation, adding more intrigue to the lower level. Outside McKenzie, it might be a while before this system fills the Major League club with potential stars as it did with Francisco Lindor and Jose Ramirez, but there is pop-up potential here. There isn't a shining star the way that the Mets have Alonso and the Indians have McKenzie, but the Rangers do boast three Top-100 prospects in close proximity in MLB.com's rankings -- No. 85 Hans Crouse, No. 88 Julio Pablo Martinez and No. 89 Cole Winn. Outside of that group, there are a number of prospects who look better on the scouting report than they have on the field, namely Anderson Tejeda, Leody Taveras and (to some extent) Bubba Thompson. A healthy Joe Palumbo (who missed most of 2018 due to Tommy John surgery but showed promising stuff upon his return) could do wonders for the system, and lefties Brock Burke, Cole Ragans, Taylor Hearn and C.D. Pelham bring their own level of intrigue. On talent and projection, this could be an exciting farm. As things stand, a lack of truly top talent and upper-level prospects holds the Rangers back to this spot. Want to see a system loaded with arms knocking on the Major League door. This is the one. Adonis Medina, Enyel De Los Santos, JoJo Romero, Ranger Suarez and Cole Irvin should open the season at Double-A or above, and Spencer Howard could be on the fast track right behind after showing impressive velocity down the stretch last season at Class A Lakewood. Alec Bohm will be closely watched after the 2018 third overall pick scuffled some in his first taste of the Minors, but the 22-year-old third baseman should be above-average with the bat when he's settled. 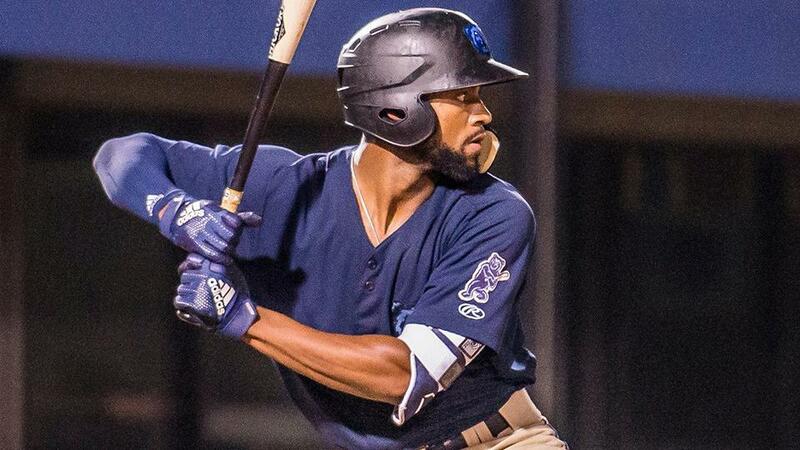 Luis Garcia might be even more exciting after the switch-hitting shortstop batted .369 with a .921 OPS as a 17-year-old in the Rookie-level Gulf Coast League last summer. Hope remains that Adam Haseley and Mickey Moniak can find places in the Philly outfield long-term, but Bryce Harper should have one of those on lock after signing his 13-year deal. There's more depth here than the Top-100 representatives alone and yet not enough shine overall to break through into the top half. If this is meant to be a rebuilding system, it could still use some work. If general manager Jerry Dipoto's goal was to simply retool a system that ranked 30th at this time last year, then he's accomplished that. All three of Seattle's Top-100 prospects (Justus Sheffield, Kelenic, Dunn) came over in offseason trades from the Yankees and Mets and will be cornerstones in Dipoto's attempted turnaround. First-rounders Evan White, Logan Gilbert and Kyle Lewis would have been the faces of the farm instead, and while each brings his own excitement, they don't quite have the ceiling of the new trio in town. There's a lot of hope for Julio Rodriguez as well after the 18-year-old hit .315/.404/.525 in the Dominican Summer League last season. Other additions such as Erik Swanson, Shed Long, Dom Thompson-Williams and Jake Fraley helped to fill out the system. There isn't a surefire star here yet, though that could be Kelenic, Rodriguez or a healthy Lewis. But it's a start toward farm-system relevancy for sure. It's not hard to see what the Tigers' strength is here. The organization's three Top-100 prospects are all pitchers -- Casey Mize, Matt Manning and Franklin Perez. Add in Beau Burrows, Alex Faedo and Kyle Funkhouser and six of the top 11 call the mound home. All could see the Motor City before long. Manning, Burrows, Faedo and Funkhouser already have pitched at Double-A. Mize is ready to ascend quickly after going first overall out of Auburn, thanks to his mix of three plus pitches (fastball, slider and splitter). Though they didn't rank highly in terms of position players, there are a few in the field who deserve some looks as well. Daz Cameron is hoping to be Detroit's center fielder of the future with his bat and glove combo. Isaac Paredes, Willi Castro, Wenceel Perez, Kody Clemens and Sergio Alcantara make the middle infield a strength. Still if Detroit is going to head back to the playoffs for the first time since 2014 on the strength of its homegrown talent, it'll have to lean heavily on the arms with significantly higher ceilings than their position-player counterparts. Take that script for the Tigers, flip it and then heighten the ceiling by a couple inches. That is what you get with the Nationals system, which is incredibly top-heavy. Washington boasts the No. 4 overall prospect in Victor Robles, making it the first team with a top-five prospect to appear in the rankings. It's a wonder how much longer that claim will be valid, however, with the 21-year-old toolsy outfielder expected to take the starting center-field spot right out of the gate this spring. Behind him are No. 25 Carter Kieboom and No. 75 Luis Garcia. The former is an exciting all-around hitter who can play either middle-infield spot while the latter is mostly hit tool with a little speed and capable of filling any role on the dirt. It drops off pretty quickly from that position-player trio, though Mason Denaburg is worth following entering his first full season and Tim Cate's curveball/Sterling Sharp's ground-ball success rates are fun. But the Nationals boast three prospects among the overall top 75. Only 10 organizations can say the same, and (no surprise) they're all still to come in these rankings. In fact, here's one now. The A's have three of the top 50 prospects in the game in No. 12 Jesus Luzardo, No. 42 A.J. Puk and No. 45 Sean Murphy. Those are two great batteries to dream on, especially for fans of southpaws with Luzardo and Puk ranking among the top four left-handed pitching prospects. Luzardo, in particular, could be one of the Minors' most exciting pitchers, regardless of handedness, with three above-average pitches and stellar control. Puk might be up there as well had he not needed Tommy John surgery last year. Outfield could be a strength with Lazaro Armenteros, Austin Beck and Jameson Hannah in the mix. (Imagine if Kyler Murray was still here.) But overall, there are too many question marks to push the A's into the top 10. Case in point: James Kaprielian is considered the club's No. 6 prospect, and he's yet to pitch for an A's (or any team's) affiliate in either of the past two seasons due to multiple injuries. These next two are pretty close calls. Alex Reyes shouldn't be a prospect any more and won't be when he records one more out in the Major Leagues. Stupid injuries. Until then, he's the No. 33 overall prospect, and the Minor League community is left to dream about where his plus-plus fastball, plus curve and impressive changeup will take him in The Show. Nolan Gorman, who sits at No. 61 overall, gave St. Louis plenty more to think about with his power when he went deep 17 times over 63 games shortly after being picked in the first round last year. Outside those two Top-100 prospects, there's an ascendant catcher (Andrew Knizner), some pitchers who have already cracked the Majors (Dakota Hudson, Daniel Ponce de Leon), some other arms right behind them (Genesis Cabrera, Ryan Helsley) and some low-level boppers (Elehuris Montero, Jhon Torres, Malcom Nunez). It's lacking a little bit of athleticism that tends to make top systems electric, however. Still, this spot is good for a club always looking to contend which has yet to try any type of rebuilding scenario this side of the new millennium. The Halos have been so ascendant when it comes to their prospect pool in the last year that a spot at No. 11 may feel low at first blush. However, the club only claims two Top-100 prospects in No. 14 Jo Adell and No. 63 Griffin Canning, making it difficult to move past clubs with more Top-100 representation. That said, the American League West club is here because its system has grown quite deep beyond the two big names. Brandon Marsh, Jordyn Adams and D'Shawn Knowles can provide some flash in the outfield while Jahmai Jones, Luis Rengifo, Matt Thaiss and Jeremiah Jackson make for a solid infield core, even if they're spread out across the organization. The pitching can get thin behind Canning, but left-hander Jose Suarez was a pop-up prospect in 2018, when he fanned 142 over 117 innings across three levels. Similarly, Patrick Sandoval was one of the best performers with a 2.06 ERA, a 0.96 WHIP and 145 strikeouts in 122 1/3 frames over three levels, and after coming over from the Astros midseason, it'll be interesting to see what he can do under Los Angeles' wings. It could be a little deeper, but the Angels have certainly built a promising group here -- and one who could still climb in 2019.